Subsribe to our mailing list to get the updates to your email inbox. Call or email us to make an appointment today! We accept most insurance plans, and participate with a discount plan called ChiroHealthUSA for patients without coverage for chiropractic services. Which Insurance Plans Do You Participate With? What If I Have A High-Deductible Plan? For patients with either high deductibles, poor or no chiropractic coverage, we participate with a discount medical provider plan called ChiroHealthUSA. It costs about $50 to cover you, and your entire family for one rolling year, and allows us to make the care you need much more affordable. Which Doctor Will I See? Generally, Dr. Press has office hours in the mornings, from 10am-2pm and Dr. Geleta has office hours in the evenings from 4pm-7pm. 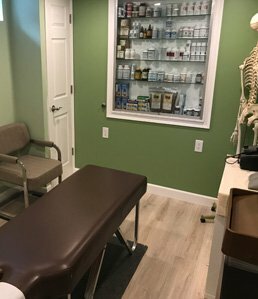 The office is open Monday, Wednesday, and Friday, and Drs. Press and Geleta do make appointments outside of these hours. Call (201) 569-1444 for an appointment today! The simple answer is “generally no.” Chiropractic care is safe, gentle, effective for most neuro-musculoskeletal conditions. However, if your problem is chronic, ongoing or the result of a traumatic injury, sometimes care CAN be somewhat uncomfortable. In such cases, we work diligently to reduce or eliminate pain as our primary treatment objective. Our goal is to make you as comfortable and relaxed as possible. We believe in taking our time and getting to understand you as a person, not just as a disease or a condition. That’s the basis of “Whole Health.” We look at multiple determinants of health – physical, nutritional, spiritual, emotional. By addressing all of the needs of the person, we work towards wellness – the state of good health.